Reports that ICE may be accessing Utah Department of Motor Vehicle records to target illegal aliens who have obtained a Utah driving privilege card have come as a shock to many advocates. When the Utah driving privilege card was established well over a decade ago it was seen as a major victory for the supporters of illegal aliens as well as for the business and agriculture interests that rely on cheap, easily exploited workers, and for the Mormon Church, which sees the illegal-alien population as a major source of new converts. Interestingly, only a few people recognized that the legislature was creating a double edged sword when it established the driving privilege card — one edge that grants implied legal status to illegal aliens by the state of Utah, and the other edge that makes it easier for ICE and other law enforcement agencies to identify illegal aliens and their employers. Advocates for illegal aliens, including many in the Utah Democratic Party, supported the driving privilege card because it further blurred the lines between legal and illegal immigration. Even though it created a database of individuals who are clearly identified as being unlawfully in the United States, these advocates were so sure of their ability to protect illegal aliens that they actually encouraged them to give their personal identifying information, including fingerprints and addresses, to the state of Utah in order to obtain the driving privilege card. At the same time, some groups that oppose illegal immigration tempered their opposition to the driving privilege card because they recognized that it would eventually be a valuable asset for law enforcement purposes, as is now apparently the case. Business and agricultural interests supported the driving privilege card because it made it possible for their cheap, easily exploited illegal alien workers to legally operate a motor vehicle in Utah. However, they apparently never considered the far-reaching implications that the driving privilege card would have for them or they simply assumed that they would be forever immune from the nation's laws that prohibit the employment of illegal aliens. And it really didn't matter to employers if the card could be used to identify and facilitate the deportation of illegal aliens since there would always more available for them to hire. 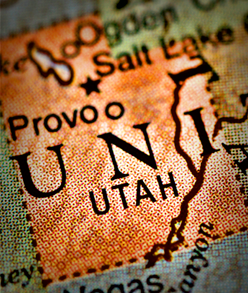 With enhanced enforcement of immigration laws by the Trump administration, Utah employers may need to reconsider their support for and acceptance of the driving privilege card. After all, once employers see the card, they are "knowingly" hiring an illegal alien, which is a clear violation of federal law. Even though Utah was a leader in providing illegal aliens with driving documents, it is no longer alone. Other states have created special driver's licenses for illegal aliens that also clearly identify the holders as being unable to provide proof of legal residency in the United States. These states have all promised illegal aliens that their information will be protected, but as recent experience in Utah shows, that may be just another hollow promise made by politicians. Illegal aliens and their employers once had nothing to fear, but now they have to question the wisdom of their past actions since, as a Utah immigration attorney recently noted: "Never did we think that one day we'd have an administration like Trump's that would be using this very information against people."